The most popular trading scenario involving companies registered in the EU is the VAT triangulation scheme. Triangulation rules were specially devised in order to simplify cross-border trading, so that EU companies wouldn't have to register for a VAT number in each EU member state to which they deliver goods. Although triangulation is easy to understand, it seems that for many business owners this trading model is a significant source of misunderstanding. 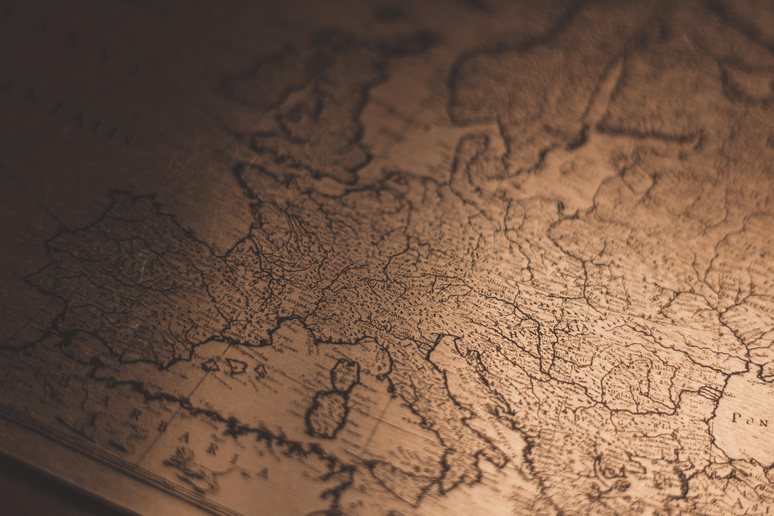 The first rule to remember is that the model must involve three companies, registered in three different EU member states, each with its own VAT number. One company sells goods to another company, which then sells the same goods on to the third company. However, the goods are transported directly from the first company to the final (third) company. The trading scheme must include three different companies, domiciled in three different EU countries. Each company in the trading scheme must have a valid VAT registration number. The goods must be transported directly from company number 1 to company number 3. The benefits of triangulation simplification depend on the transport scheme. There are two main scenarios in terms of how goods are transported between the three parties. In this scenario, goods are transported from company 1 to company 3 and attributed to sale no 1. The supply of goods arranged by company 1 is classed as intra-community and so subject to 0% VAT. Meanwhile, company 2 effects a taxable intra-community acquisition in the member state of company 3, where the goods arrive. Consequently, company 2 must register for VAT in the country of arrival of the goods and declare the acquisition there. If company 2 is not registered for VAT in that country, it will be charged VAT in its own member state. While company 1 is involved in an intra-community supply, at 0% VAT, the subsequent transfer of the goods between company 2 and company 3 is treated as a domestic sale. Therefore, company 2 is registered for VAT in the member state that receives the goods and charges the applicable VAT in that state. Ultimately, company 3 will reclaim that VAT through its regular VAT return. In this case, goods are transported from company 1 to company 3 and attributed to sale no 2. The sale made by company 2 is classed as an intra-community supply of goods, subject to VAT at 0%. Company 3 is charged VAT in its own member state, whereas company 2 effects an intra-community supply in the member state of company 1, where the transport chain started, also at 0% VAT. This means that company 2 must be registered for VAT in company 1’s member state, where it will declare the intra-community supply of the goods. Thus, the transaction between company 1 and company 2 is considered to be a domestic sale, with company 1 charging its local VAT rate to company 2. Later, company 3 declares the VAT deal in its own member state and reclaims that VAT through its VAT return. How do businesses benefit from triangulation simplification? For the purpose of simplification, company 2's acquisition of the goods in the member state of arrival is deemed to have been subject to VAT. This removes the obligation on company 2 to register for VAT in the destination member state. Sale no 2 is now subject to the reverse charge mechanism. The final customers are charged VAT on the value of the acquired goods. Eventually, company 3 will reclaim its local VAT through its regular VAT return. The sales invoice is issued by company 1 to company 2. The valid (and verified) VAT numbers of both companies must be featured on the invoice. In return, the intermediary trading party — company 2 — sends its sales invoice to the final customer — company 3. Both companies’ valid VAT numbers are quoted on the invoice. In addition, company 2 must refer to Article 141 simplification on the invoice. The supply by company 1 to its customer, company 2, is not subject to VAT, because this transaction falls under the intra-community dispatch of goods rule. An intra-community supply is recorded by company 3. Company 2 records the triangulation sale to company 3 separately in its ECSL (European Community Sales List) return. Company 1 records the goods as dispatched on the Intrastat forms. Company 3 records the goods as arrived on the Intrastat forms. Thus, the rules for triangulation simplification and invoice flow outlined above require company 2 to register for VAT in the member state of company 3, and to record an intra-community acquisition. Verify with your tax advisor that the triangulation rules are acceptable in the member state where the goods will arrive. Consider possible VAT obligations and requirements for local VAT registration. Check in advance the local requirements and possibilities of the reverse charge mechanism. 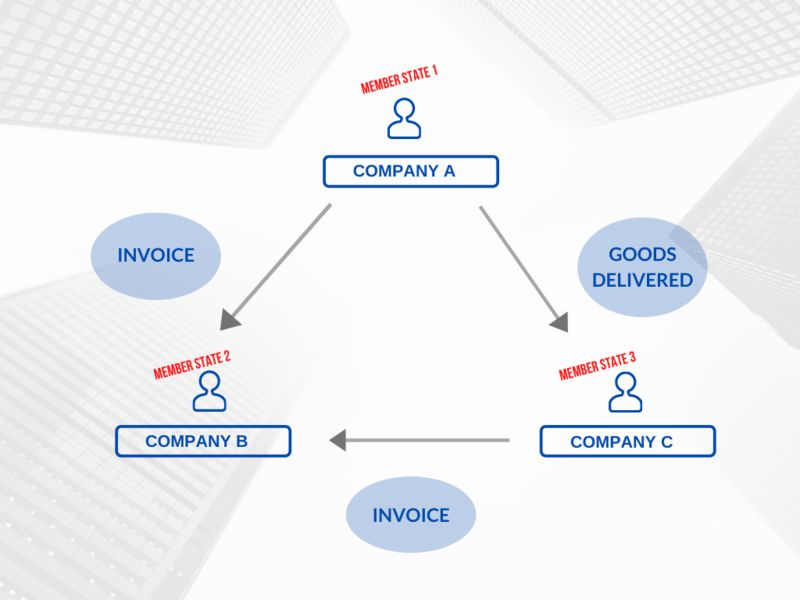 Establish the exact invoice flow and terms for transport. The main purpose of triangulation simplification is to avoid numerous VAT registrations in different EU member states. However, a lot trading schemes involve more than three parties in different countries. If there are four or even five parties included in the sales model, then one of the intermediaries must register for VAT in another EU member state and decide to which supply transaction the intra-community transport is assigned. In such scenarios, triangulation simplification becomes rather complicated. If you require more information regarding this solution or if you are looking for a ready-made corporate structure, contact our agents now.